St Mary of the Cross emboding a decade of pedagogical thinking, design and practice at Baldasso Cortese. 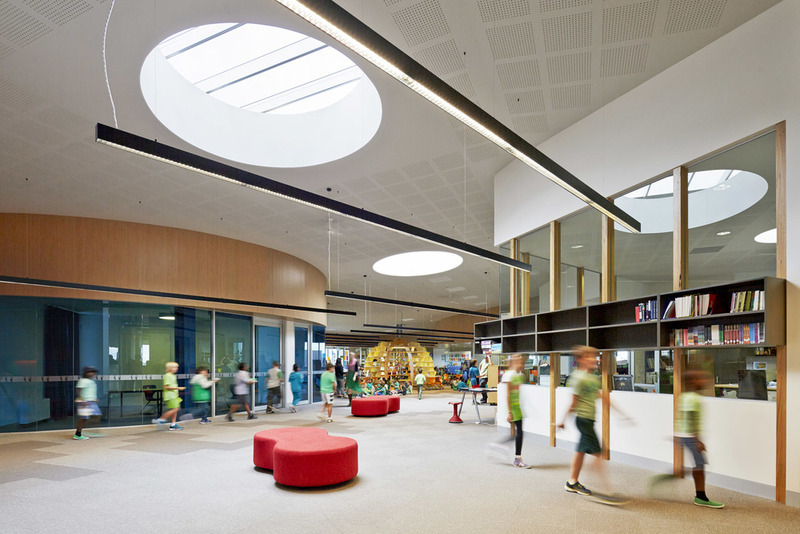 These facilities unify current ideas in contemporary learning, community engagement, sustainability and technology to create a 21st C. school that functions as a community hub. Two sculptural 'Bee Hives' are a main focus within the internal spaces, creating opportunities for both group and individual learning. The transparency of the 'Bee Hives' maintains connectivity in a playful manner and gives scale to learning spaces.